Categories: Adoption Parenting, Attachment Disorder, Attachment Therapy, Psychotherapy, The Adoption Professional. Attachment security and affect regulation have long been buzzwords in therapy circles, but many of these ideas―so integral to successful therapeutic work with kids and adolescents― have yet to be effectively translated to parenting practice itself. Moreover, as neuroscience reveals how the human brain is designed to work in good relationships, and how such relationships are central to healthy human development, the practical implications for the parent-child attachment relationship become even more apparent. 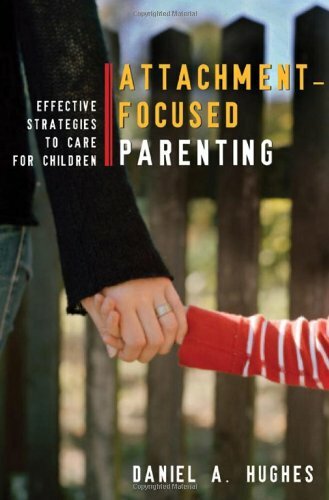 A guide for all parents and a resource for all mental health clinicians and parent-educators who are searching for ways to effectively love, discipline, and communicate with children, this book presents the techniques and practices that are fundamental to optimal child development and family functioning―how to set limits, provide guidance, and manage the responsibilities and difficulties of daily life, while at the same time communicating safety, fun, joy, and love. Filled with valuable clinical vignettes and sample dialogues, Hughes shows how attachment-focused research can guide all those who care for children in their efforts to better raise them.